BEAUTY MARK ORGANICS > BLOG > Uncategorized > New Year! New Body! New You! In my morning meditation a couple of days ago, I had a vision of a butterfly, I didn’t think much about it but there it was in my thoughts. I decided to look up the significance of the butterfly (more on that in a bit). That night here is what poured out of my head on to my note pad in which I keep close by these days. 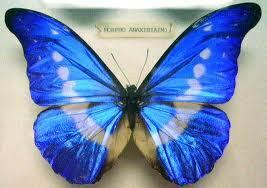 I am a butterfly, I accept my changes, I fly gracefully through life showing all of my colors. I have learned through my transformation in such a short period of time that I am in faith, that I am supported and loved, therefore I am without fear and shame. I trust that by showing my true colors I will show others that it is OK to show there’s. The significance of the butterfly which we can all learn from; The butterfly is a symbol of transformation its impressive transformation takes place in a very short time span (about a month). From egg to Larvae (caterpillar) to pupa (the cocoon) and from cocoon the butterfly emerges in its unfurling glory. Consider the massive amount of energy this tiny creature expends. Imagine the whole of life changing to such an extreme that you are unrecognizable at the end of the transformation. The butterfly accepts and embraces the changes of its environment and body casually without resistance or useless fretting. It then asks us to do the same as it fly’s through nature showing its beauty. I have taken a couple of days to ponder on how the thought of the butterfly is perfect timing right now and how it is a reminder for me to keep expressing my truth. I am committed this year to writing, meditation, listening to my body and taking leaps of faith into the unknown which has taught me to become trusting of myself. So how would you like to transform this year? How can you show your true colors? How can you gracefully guide through life? What inner shifts can you make to be happier and ultimately feel free? Where can you take risks to help you step out of the comfort zone that is no longer linked to pleasure but has turned into pain? Who are you in your heart of hearts? My New Year’s message to you is start your transformation now. Take tiny steps out of old habits and into newness. Everyday is a new day to create the body and life you have always dreamed of, one that reflects your true self, one that is free, happy and peaceful! What are you committed to this year?